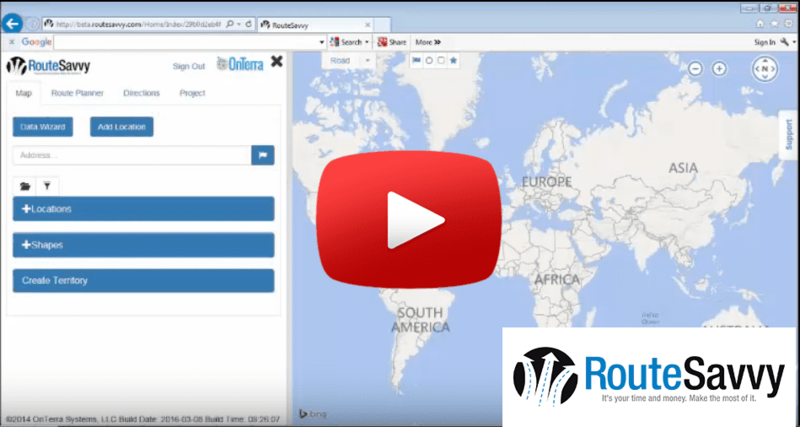 This RouteSavvy Route Planner Software Demo will show you RouteSavvy’s ease of use, friendly interface, and how it reduces miles driven by your fleet – saving time, money & labor costs! RouteSavvy Route Planner Software is a small- to mid-sized fleets’ best tool for streamlining operations, increasing productivity, and generating immediate savings that go straight to the bottom line. What’s more, RouteSavvy Route Planner Software is proven in the field, across multiple industries. From flower deliveries, lawn care, and real estate professionals to senior care med deliveries and much more, RouteSavvy Route Planner Software is transforming companies in the business of deliveries, pick-ups, services, and more, with a simple, affordable, easy-to-use route planner software tool. You’ll find that RouteSavvy Route Planner Software is a game-changer for your business. Customers in the United States and Europe report that ROI is both immediate and dramatic. In many cases, the savings achieved through RouteSavvy paid for the initial investment in the first week of usage! For more information on how RouteSavvy Route Planner Software is helping business save money, grow & thrive, check out RouteSavvy Case Studies in our Knowledge Center.